Vienna Center - 51364: AUSTRIA: VIENNA: Wien. 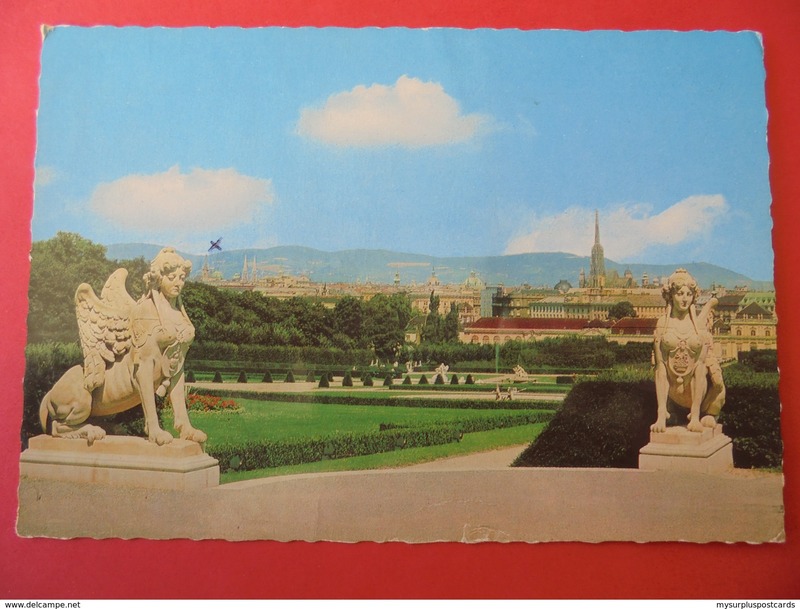 51364: AUSTRIA: VIENNA: Wien.CONDITION: Please take a close look at the photos of front and back for condition and details of this postcard. If you require any further information/details please ask. 37067 PC: AUSTRIA: Vienna. WIEN OPER. and TRAMS. ECHTE PHOTOGRAPHIE. 30294 PC: AUSTRIA: VIENNA: Vienna / Wien / Vienne. 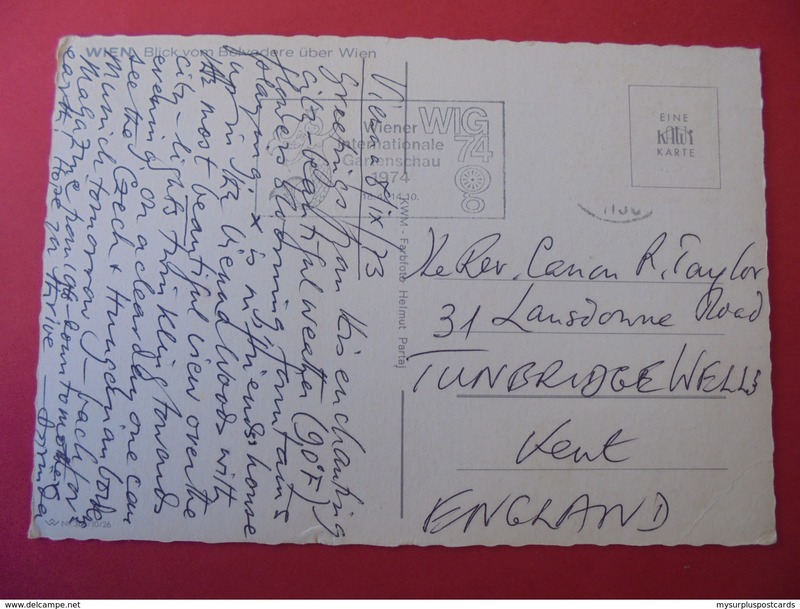 (Postmark 1992). 41069 POSTCARD: AUSTRIA: VIENNA: Vienna / Wien. Neuve Hohenstrasse Cobenzl Kahlenberg. ECHTE PHOTOGRAPHIE. 30291 PC: AUSTRIA: VIENNA: Alt Wien. Michaeler Kirche nach einem Aquarell von Richard Pokorny. (Postmark 1996). 41063 POSTCARD: AUSTRIA: VIENNA: Vienna / Wien Gloriette. 37065 PC: AUSTRIA: Vienna. DAS SCHONE WIEN. ECHTE PHOTOGRAPHIE. 41065 POSTCARD: AUSTRIA: VIENNA: Vienna / Wien. Schonbrunn. 41070 PC: AUSTRIA: VIENNA: Vienna / Wien I. Naturalhistorishe Museum Maria-Theresien-Denkmal.